Shopping for a new Toyota Tacoma? We see little reason to go whole-hog on the TRD Pro unless your daily commute includes crossing boulders. TRD Off Road offers most of the capabilities and it’s always possible to add underbody armor later. The 2018 Toyota Tacoma is a mid-size pickup with the right-sized attitude: it’s nimble off road, capable, and just enough truck for many buyers. The 2018 Toyota Tacoma can’t stop to catch its breath. The mid-size Toyota pickup with a loyal following was once so far ahead of its time, it was virtually the only one around. Now, with the General Motors’ Canyon/Colorado twins, Honda Ridgeline, and aging-but-still-weirdly-popular Nissan Frontier to compete, the Tacoma is scrambling for attention. 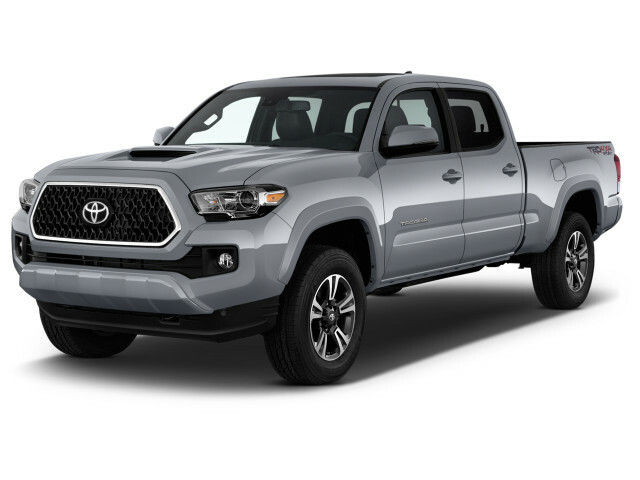 The Tacoma is offered in SR, SR5, TRD Sport, TRD Off Road, Limited, and TRD Pro trim levels that range from workaday to everyday to take-the-hard-way levels of equipment. The increasing cost of full-size pickups has driven buyers toward mid-size trucks like the Tacoma for good reason: for most people, they’re just enough grunt without the city-bus size. The most popular configuration for the Tacoma is a V-6 with four-wheel drive that can scrabble up trails, wind around town, or haul up to 6,800 pounds. An inline-4 is available on base trucks, but we’d say skip it unless your plans only include rear-drive and not a lot of passing. The news this year is the Tacoma’s standard active safety equipment that includes automatic emergency braking, lane departure warning, and adaptive cruise control. A rearview camera is standard. Every Tacoma comes with a touchscreen, although Toyota’s system is lagging the bunch. Apple CarPlay and Android Auto aren’t part of the formula, but a wireless charging mat and Bluetooth connectivity are. Despite offering a smaller engine, the Tacoma isn’t particularly fuel-efficient. Inline-4 and V-6 versions are rated roughly the same, about 20 mpg combined, which is roughly the same as full-size trucks that don’t rely on big V-8s. The Tacoma’s looks can draw attention in off-road trims, but the flamboyance can be an annoyance. The 2018 Toyota Tacoma is every bit of the macho truck it was in the 1990s and 2000s—the newest version doesn’t bother much with hiding its relation to those trucks, in fact. This generation of Tacoma has been with us for more than two years now, but the proliferation of old Tacomas means that the truck’s revised exterior still may be finding new eyes. The new Tacoma’s hood and belt lines are higher, and the oversized fender flares are still around. The overall appearance from the front and side is like an overstuffed winter coat—it serves a purpose, to a point. Around back, a stamped “Tacoma” name on the tailgate falls in line with the bigger, full-size Tundra—and similar styling from other truckmakers including Ram and Ford. A three piece rear bumper should be a boon to work buyers who occasionally find the wrong side of a loading dock. The interior of the Tacoma is a mishmash of materials and colors, but not all of them work. The cabin is mostly straightforward with a traditional horizontal layout and decent ergonomic design. Some upper trims get look-at-me color accents that would wear on a 20-year-old owner, we say. Tone it down in Limited trims and the Tacoma is fine, but not entirely understated. The Tacoma’s V-6 is durable and nearly ready for anything. 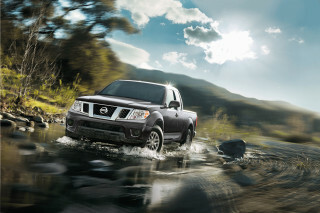 Off road models boast impressive hardware and abilities. The 2018 Toyota Tacoma is available with a choice between two engines, two transmissions, and two drivetrains. Toyota hasn’t changed the formula much for the Tacoma since it was new in 2016. The base engine is a 2.7-liter inline-4 that makes 159 horsepower and 180 pound-feet of torque. 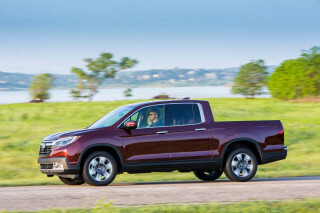 It’s mated to a newly available 6-speed manual or a 6-speed automatic, and rear-wheel drive most often—four-wheel drive in Access Cab models. The inline-4’s main appeal may be its price; it’s no more frugal with fuel than the V-6 and down on power in all respects. Save your pennies and skip it, we say. Regardless of engine, the Tacoma rides on a ladder frame with coil springs in the rear and double wishbones up front. Compared to previous generations, the new Tacoma uses more high-strength steel for a stiffer structure, but the suspension’s proclivity to road comfort helps damp out any unnecessary head toss. For most trim levels, the damping and spring rates have been revised for a more comfort-first approach. TRD Pro models are the exception, but more on that in a minute. 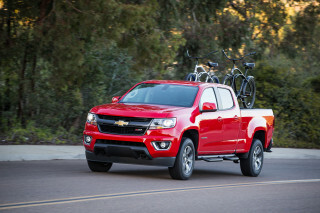 The Tacoma offers different ideas on the same suspension, depending on intended use. SR, SR5, and Limited trim levels offer a standard, road-oriented setup that should be comfortable for most drivers. TRD Sport trucks are a little stiffer, thanks to sportier spring and damper rates, but they’re not quite focused off-roaders. TRD Off-Road versions opt for more wheel articulation and off-road control. TRD Pro versions swap out the standard hardware for Fox internal bypass shocks, and stiffer sidewall for its tires. Its off-road prowess is undeniable, but its on-road manners approach paint shaker. TRD Off Road and TRD Pro models add a multi-terrain select switch that dials in throttle and hill-descent control, traction settings, and power distribution for a variety of terrains including mud, snow, sand, and rocks. TRD Sport models include an automatic limited slip rear differential, while TRD Off Road and TRD Pro models include a locking rear differential. 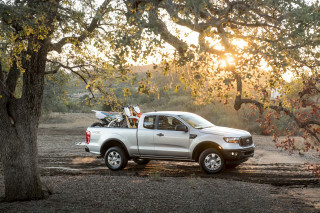 The Tacoma is rated to tow up to 6,800 pounds or haul 1,620 pounds in the bed. Curiously, Toyota opted for rear drum brakes in the Tacoma, which they say are more dependable on trails and for off-roading. We’re not so sure it wasn’t a cost-cutting measure, but nonetheless braking performance is relatively unharmed. The 2018 Toyota Tacoma excels at being a truck, but its interior confines aren’t as comfy as some rivals. The 2018 Toyota Tacoma excels at being a pickup truck, but not much else. The 2018 Toyota Tacoma is available in extended and double cab configurations. Extended, or Access Cab, models are available only with the shorter bed (5-foot), while four-door double-cab models can be equipped with short or long (6-foot) beds in the back. Up front, the lack of a telescoping steering wheel in the Tacoma means drivers will have difficulty in finding a comfortable seating position—none of the trim levels offer a height adjustable front seat. In back, Access cab models are glorified short benches with 24.6 inches of rear leg room suitable only for small children or small adults on small trips. Double cab configurations are the most suitable for daily commuter replacements with 32.6 inches of rear leg room. Not all the news is bad news. 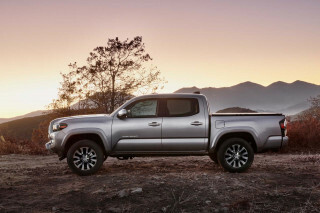 All versions of the Toyota Tacoma boast ample sound-deadening material and acoustic windshields for a quieter cabin; the tailgate is damped for easier closing and opening; there are tie-down points in the bed alongside a deck rail system with moveable cleats; and most trim levels include a household style power plug in the cabin. The bed is 19.1 inches deep, and 41.5 inches wide between the wheel wells or 53.4 inches wide at the tailgate. Official safety scores are mixed, but standard active safety equipment helps the Tacoma rise above the bunch. The big news for the 2018 Toyota Tacoma is the addition of standard safety features that include automatic emergency braking across all trim levels. Aside from mixed crash-test scores, the Tacoma comes equipped with standard airbags for all passengers including front knee airbags and rear side curtain airbags. Traction and stability control systems are standard. In addition to automatic emergency braking, the new bundle of advanced safety features includes adaptive cruise control, lane departure warnings, and automatic high beams. All Tacoma trim levels include a standard rearview camera. Trims span base to beaucoup, but the 2018 Toyota Tacoma is a capable truck with plenty of comforts. 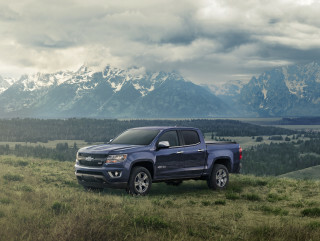 In large stretches of America, pickups are turning into de facto family cars, evidenced by the growing numbers of doors and seating positions, creature comforts, and advanced safety systems. The Tacoma is offered in SR, SR5, TRD Sport, TRD Off-Road, Limited, and TRD Pro trim levels with increasing equipment throughout the grades. The “Cliff Notes” version reads: Anything with a TRD prefix means that it’s geared toward off-road detail. SR trimmed trucks aren’t opulent, but aren’t spartan either. They get power windows and locks, fabric seats, 16-inch wheels, Bluetooth connectivity, a rearview camera, USB port, and a 6.1-inch touchscreen for infotainment. Stepping up to the SR5 trim level adds a leather wrapped steering wheel, an upgraded touchscreen, and fog lights. From there, the road (or trail) diverges. TRD Sport trucks add the appearance of off-roadability, if not the hardware. The TRD Sport rides on 17-inch wheels and includes some body cladding—but not additional protection. A leather-wrapped gear shifter, wireless cellphone charging mat, household-style power outlet, and keyless ignition are standard on TRD Sports. The TRD Off-Road trim level adds an uprated driver information cluster, 16-inch wheels with knobby tires, and a handshake—you’ve managed to restrain yourself from splurging on the TRD Pro truck. For those shoppers without willpower to keep from buying tough-looking off-road type trucks, TRD Pro is here to indulge our habits. Those versions add unique 16-inch wheels, beefed up suspension, skid plates, navigation, black accents around the headlights and taillights, and power adjustable leather seats. Limited versions skip all the tough stuff and opt instead for creature comforts such as (different) leather seats, moonroof, 18-inch wheels, and upgraded audio system with navigation. Options are primarily limited to power sliding rear window and lockable tonneau covers, although all but the Limited and TRD Pro trims are available with different cab configurations and bed lengths, which we cover separately. Toyota’s infotainment interface, which it calls Entune, is below-average, according to us. It lacks Apple CarPlay/Android Auto compatibility—for now. While its menu system is fairly simple, it’s not very responsive. We’ve found that the supplemental Scout navigation system, which is available on many trim levels, is no substitute for the real thing. The 2018 Toyota Tacoma may be smaller than some full-size offerings, but its thirst isn’t. Good news: An updated engine in the 2018 Toyota Tacoma gives it better fuel economy than before. Bad news: Those numbers aren’t much better than full-size pickups. Opting for the manual doesn’t help either: 17/21/18 mpg, by the EPA’s calculators. 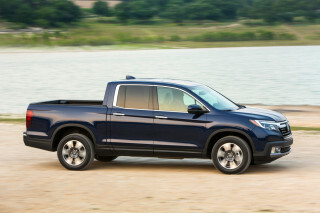 Dropping down to fewer driven wheels does—rear-wheel drive pickups are 1 mpg better than their four-wheel-drive counterparts. Cutting back to the 4-cylinder Tacoma isn’t an option we’d consider outside of fleet buyers. The busy inline-4 is rated nearly identically to the V-6 because it has to work all the harder to come up to speed. 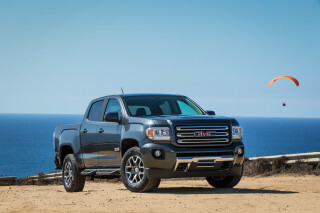 If fuel economy is your foremost concern, the diesel-powered General Motors’ Colorado/Canyon twins are your best bet.